Many people mistakenly think that the Australian Shepherd came from Australia, due to its name, but sheepherders and ranchers developed this breed within the western U.S. 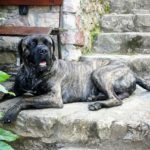 Through the years, this breed has also been called the New Mexican Shepherd, the Pastor Dog, the California Shepherd, the Spanish Shepherd and the Blue Heeler. However, today most people know the breed as the “Aussie.” These versatile, smart dogs are highly adaptive and do well with most living conditions and situations. Since they were originally bred for herding, they often try to herd other dogs, cars and kids. More than likely the early ancestors of the Australian Shepherd came from the Basque region of Europe within the Pyrenees Mountains. 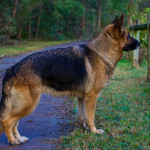 Shepherds in Australia are thought to have crossed different types of Collies with Pyrenean Sheep Dogs, and those dogs came to the United States during the 19th century with Australian sheepherders. Later the American ranchers and sheepherders would continue breeding these dogs to come up with the dog that we now call the Australian Shepherd. The American ranchers developed this breed to be trainable and ensured they had plenty of endurance. In the west, many ranchers used the dogs to help move large herds of cattle and sheep, and these dogs performed well at managing livestock, even in tight areas, such as chutes or alleys. After the Second World War, the Australian Shepherds began to become more popular as the popularity of Western horsemanship rose as well. The breed often appeared in horse shows, movies, TV programs and rodeos. 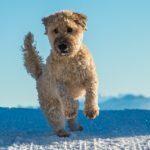 While the dogs became popular as companions, western ranchers continued breeding these dogs for intelligence and their natural herding abilities. It wasn’t until 1957 that the Australian Shepherd Club of American was created. In 1991, Australian Shepherds were finally entered in the stud book of the American Kennel Club. 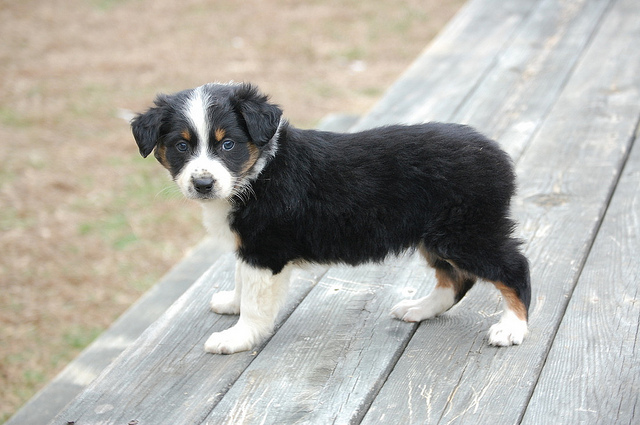 Later, in 1993, the breed was recognized as a member of the AKC’s Herding Group of dogs. These medium sized dogs have a body that is a bit longer than it is tall. They have a bob-tail, pendant ears and a deep chest. Their muzzle tapers, their eyes are oval and medium sized, and they may be brown, amber or blue in color. Some even have eyes of two different colors. Australian Shepherds are known for their thick, medium-length coat. It’s weather resistant, which keeps them dry and warm, even during the winter months. 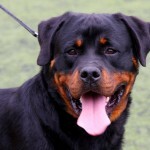 The coat may be wavy or straight, and the hair around the hocks, ears, forelegs and ears is usually smooth and short. This breed may have a coat of different colors, such as blue merle, tri-color, black, red and red merle. Most Aussies are between 18-23 inches tall at their shoulder. Males generally weigh around 57 pounds, while females are a bit lighter, with an average weight of 47 pounds. 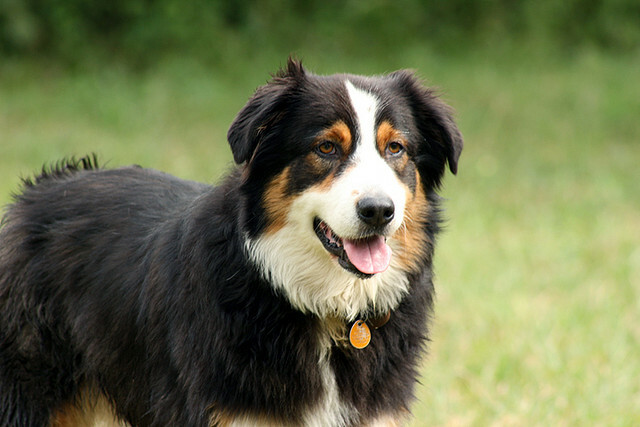 The temperament of an Australian Shepherd can vary greatly from one dog to another. Some are reserved and shy, while others are friendly and outgoing. However, some things do remain constant. 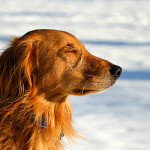 These dogs are always loyal and intelligent and they love human companionship. 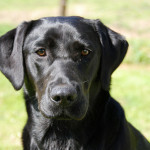 They love interacting with their owners, whether they are helping with herds, running, fetching or walking. This makes this breed a wonderful companion dog. 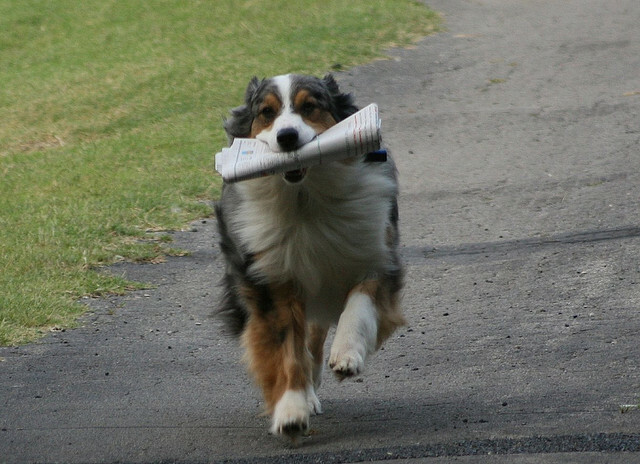 Since Australian Shepherds are so easy to train, they can be trained very easily. All trainers need is a bit of positive reinforcement. They love pleasing people, so praise or small treats can be used to help them learn new behaviors quickly. 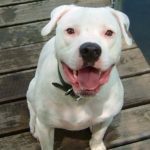 They do well with simple obedience training, and advanced courses are recommended for these smart dogs as well. However, since they do have a strong herding instinct, it is essential to begin training Aussies early, setting boundaries so the dog doesn’t try to herd children or other pets. Australian Shepherds love being around their owners, but if they don’t get plenty of attention, they may develop bad barking problems or separation anxiety. To avoid these problems, early training, mental stimulation and plenty of exercise is important. Physical activity is important, since these dogs are a working breed. 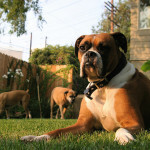 They enjoy outdoor activities, games of fetch and should be exercised daily. Shedding occurs year round, and during the season changes, Australian Shepherds shed quite heavily. 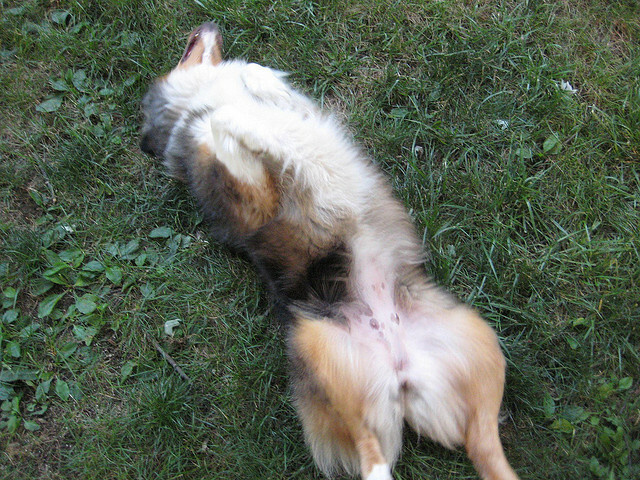 This means that the Australian Shepherd requires regular brushings. Year round, they should be brushed at least once a week. When they start shedding heavily, they’ll need to be brushed several times each week. 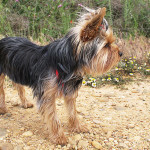 They are usually quite clean, so you only need to bathe these dogs as needed if they started smelling or they get dirty. Regulary nail trimmings, teeth cleanings and ear cleanings should all be part of routine grooming to ensure that this breed stays beautiful and healthy. The Australian Shepherd was originally bred for herding purposes, and some of these dogs continue to work on ranches herding livestock today. However, due to their obedience, intelligence and gentleness, they are often used as hearing dogs, guide dogs and therapy dogs. 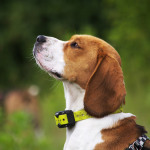 In some cases, they have been used as drug detector dogs and search and rescue dogs. 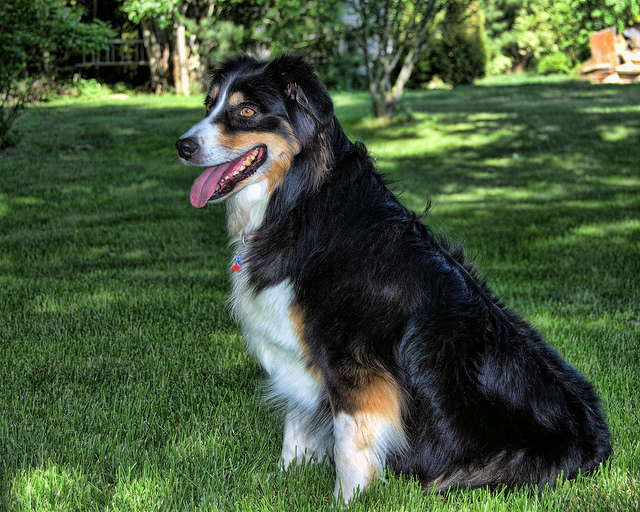 An Australian Shepherd generally lives to be between 12 and 15 years old. 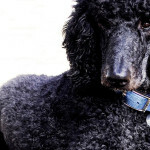 The breed often have vision problems, including cataracts, epiphora, red eye and conjunctivitis. 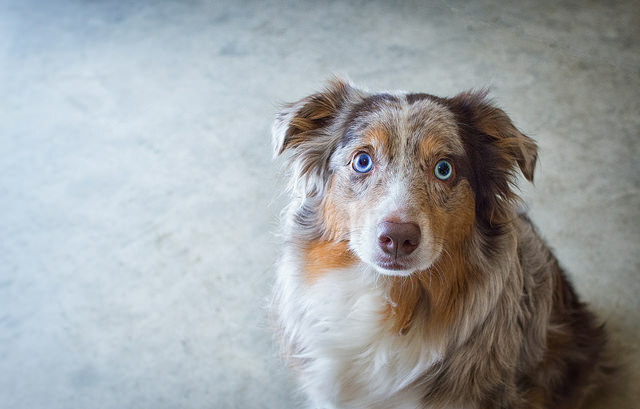 Canine hip dysplasia and elbow dysplasia can both affect Australian Shepherds, so before they are bred, they should be checked to ensure they don’t have these problems. 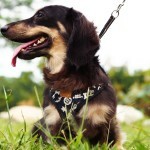 Before breeding, these dogs should also undergo tests for Collie eye anomaly, thyroidism and the MDR1 mutation. It is a serious fault for an Australian Shepherd to not have pigment in the area surrounding the eye. This page shows a photo of a dog with a half white face with no mention that an Aussie should not look like that. 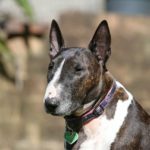 Breed intros should not show pictures of atypical dogs; it not only gives a wrong impression of a good specimen of the breed, but may also generate buyers for disreputable breeders who deliberately breed dogs with serious faults. Furthermore, in this case. the fault has health issues associated with it. Thank you for bringing this into light. I have changed the image you were referring to.